Following the sequel to the 2015’s Star Wars: Battlefront developer Electronic Arts provides a stellar update accompanied by TIE Fighter screams, blasters echoing the galaxy, and lightsabers swirling from the Light and Dark side of the force. After playing the game for three months and having the time to play all modes, unlock a great deal of content (still need to unlock a few things), and finally gaining a feel of my method of blasting the opposing side away with the vanguard, it’s time for a great review. This review will consist of a few parts; Campaign, Multiplayer, The Controversy, & Final Thoughts. One of the main flaws of Star Wars Battlefront (2015) was the fact that it didn’t feature a Campaign mode. The fans enjoyed the immersive large sci-fi battles but wanted to see how EA and DICE would produce a story in for a Star Wars video game; shades of Knights of the Old Republic. In 2017, Battlefront II’s main focus was primarily on its addition of a brand new Campaign mode. Star Wars Battlefront II featured a story that not only was marketed to introduce new characters but officially becomes canon to the entire Star Wars franchise. 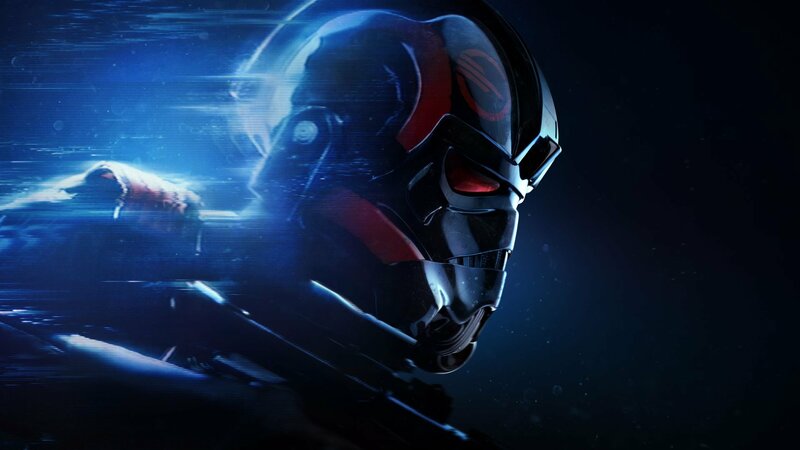 The story campaign follows Imperial special forces soldier Iden Versio portrayed by Janina Gavankar and her elite Inferno Squad unit. Over the years The Empire has been used as a devious group of individuals wanting to take over the galaxy for what they define as “peace”. Battlefront II builds on this but gives the fans a more humanized view of the stormtrooper. Aforementioned, Battlefront II’s Campaign takes the canon timeline to a new level as it spans the blank points from Return of the Jedi to The Force Awakens. Although the story does provide a behind the scenes feel of The Empire we dive deep into Iden’s relationship with The Empire and the discovery in which could alter her what she was taught at birth. In the beginning, we get to see The Empire not only scrambling to salvage any semblance of who they are despite the death of both Darth Sidious and Vader. The first mission gives you that feel that Versio’s Inferno Squad must do everything in their power to disrupt and kill the Rebellion’s anti-Imperial activities. There are various points in Campaign that feels like your playing a Multiplayer but the beautiful transitions along with the acting elevate what seems to be a cluttered mess into a masterpiece. The shift from dark to light is too quick as it feels like was rushed—at least, not at first. Despite all that clutter that takes away from the story itself you begin to feel for Versio’s internal struggles to find her place after the Empire’s demise and what’s going to happen next. Eventually, Versio’s actions place her in the hands of a beloved Star Wars character who believes in giving those who see the error in their ways a second chance for the greater good. As the story takes a more narrative approach to the plot it does have it’s fair share of cameos occasionally shifting to explore the central conflict from different viewpoints. It’s unfortunate as these moments are more interesting than what missions to play. Despite these shifts in perspective these eventually weaken with the developers reusing environments and resources from the multiplayer portion. There’s one portion of the single player that was a little confusing at first, progression is the main feature that EA and DICE had been marketing since the announcement of the game. Always loved when the video game didn’t give the player everything in the begin. It’s that self-work for the things you need to be the best that made a feel special. Each weapon you use from the sidearms to the sniper rifles all has an auditory Star Wars twist. Star Wars Battlefront II’s campaign has a lot to offer from a cinematic to a gameplay perspective. The highlights from multiplayer mode are built into the campaign however it feels a little weak at points, like flying TIE fighters and playing as classic heroes. In the end, the campaign mode will have everything for die-hards and newcomers of the Star Wars franchise whether you like it entirely or not. Like its predecessor, Star Wars Battlefront II is focused on getting the players into the action quick and keeping to coming back for more. From a standpoint of actual gameplay and content depth, the game is what any fan of the famed franchise has been hoping for since the release of the original Battlefront II. Spanning the three eras each map that’s offered in multiplayer is absolutely beautiful, with some looking better than the film version. With the option of switching back and forth from first-person to third-person, multiplayer provides a lengthy amount of fun gunplay as you try to defeat the opposing side. Starfighter Assault is a new mode that gives the player literally full control in every way. The object is to make sure you can maneuver in ways that will make others second guess their strategy. The newly enhanced controls will do just that as you’ll be able to recreate if not create your own epic Starfighter battles all the while being put through various objective-based scenarios. Aside from the Starfighter Assault, is the Galactic Assault which is a 40-player based mode pitting the three eras sides against one another. Whether you’re a part of the Galactic Empire, The Separatists, The Republic, the First Order, The Rebellion, or the Resistance this three-objective based mode will have you explore your way through a galaxy of turmoil. The class system is another addition to this game that brings strategy to a new level. Separated into four different classes, the Assault, Heavy, Officer, and Specialist, each one provides players with the incentive to counter the other on the battlefront. Tired of getting sniped by the Specialist, set a trap for them with the Officer class’s turret star card and make them pay. How about getting taken out by the barrage of shots from the Heavy’s sentry? Quickly activate the vanguard of the Assault class and shot your way through the heated fire. Each class offers up to four types of blasters with three modification per blaster. Multiplayer not only offers a brand new class system, the Galactic Assault, and Starfighter mode but also introduces Strike, an 8-player mode that gives each team two objectives to complete. Two modes that are also brought back is Blast and Hero Vs. Villains, Blast is simply what it says as 20 players determine who the best truly is in each class and no heroes. In ‘The Last Jedi’ season DLC, Battlefront speeds to the events of Episode VIII as it adds the new map Crait and two new heroes, Finn and Captain Phasma. Multiplayer is fast, hard-hitting, and compelling for those who want to get to the action and become the best of the battlefront. Despite the glory, Star Wars holds there has been one big controversy that’s plagued the success of Battlefront II and it’s known as loot boxes. One thing, Star Wars Battlefront (2015) did is provide cosmetic options for the player to utilize as well as offer a wide-range of blasters, player customization, and emotes. Battlefront II has jumped into controversial loot box pool but for the wrong reasons. Battlefront II offers loot boxes in the form of progression and doesn’t provide any customization options to the players spanning the three eras. When the Beta was released, players didn’t like this idea and took the social sites in protest of the loot boxes, the lack of credits earned through gameplay, and the purchasing of crystals to get better Star Cards through the loot boxes (crates). The microtransaction probably would’ve been better executed if there were a lot more to offer to range from customization to the class system, new maps to be unlocked, new blasters to switch out for the ones already in the game. Like Battlefield 1, they provide over a thousand different customization along with DLCs that feature a minimum of three new maps every three months since its release. On November 17, 2017, after plenty of outrage, EA would take a few measures to try and remedy the situation about microtransactions and address other concerns. EA would go ahead and disable all microtransactions in the game as it became a temporary measure, however, this is still disabled today. EA would also provide an update on the credits earned as you earn a lot more for the grind you’ve put in during the match. For example, if you decide to become a hero (Darth Vader) and take the Republic to task on Kamino throughout the match you’ll earn way more than just 450 credits. Despite the backlash from the majority of Star Wars gamers, it does seem like EA is listening to the fans but for how long will that go on. Star Wars Battlefront II is made up of various ups and downs that despite the controversy surrounding the game in concerns to the loot boxes it’s still pretty good. Campaign mode has a few weak points that muddle the entire direction of the story but it’s still redeemable with the DLC addition of ‘Resurrection’ wrapping up the story of Iden Versio. From Campaign to Multiplayer mode it still possesses a lot of great fun, but during the early stages of this game’s release, the loot boxes and microtransactions plagued its success.